At last, The Grand Tour is here. You can watch it now. You can’t binge it, sadly, but you can see the first episode and find out where Clarkson, Hammond and May are taking their obscene Amazon budget. And yes, there’s a leaderboard like on Top Gear. While The Grand Tour is a traveling tent-centric show, it does have a home track in a sad-looking part of the English countryside dubbed the Eboladrome, because it apparently is shaped like the Ebola virus. Isn’t science fun? 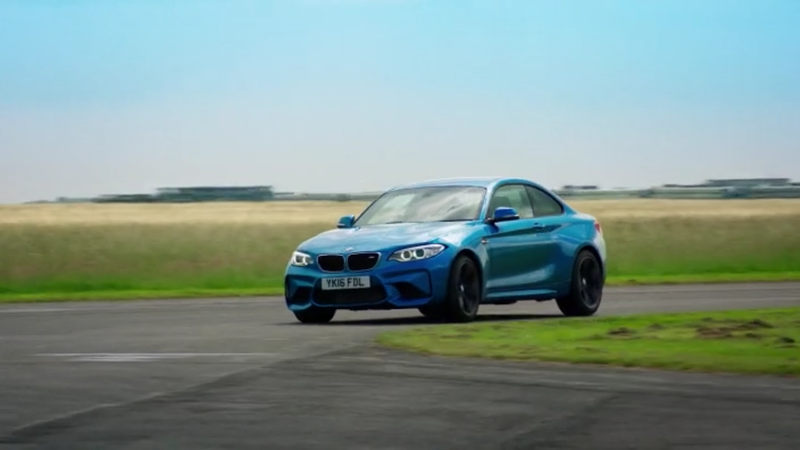 Anyway, the first episode features a track test of the BMW M2, a fine selection indeed. But more than that, the episode reveals how the M2 stacks up against other cars tested at the Eboladrome, and what it takes to be the top dog. No word on whether we’ll see tests of all those cars, but to be the best on The Grand Tour, the McLaren 650S is the car to beat for now.